According to a new market research study titled 'Remote Patient Monitoring Devices Market - Global Analysis and Forecasts by Product, Application and End User. 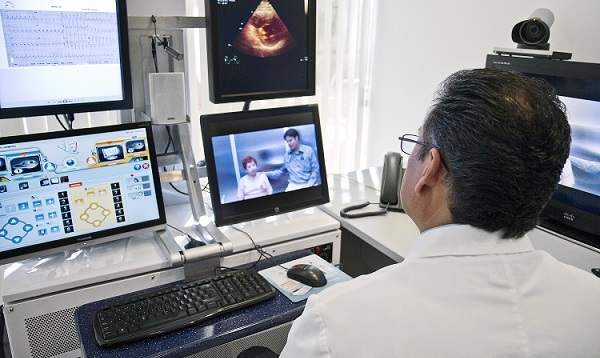 The global remote patient monitoring devices market is expected to reach US$ 1,546.85 Mn in 2027 from US$ 712.21 Mn in 2018. The market is estimated to grow with a CAGR of 9.0% from 2019-2027. The report highlights the trends prevalent in the global remote patient monitoring devices market and the factors driving the market along with those that act as deterrents to its growth. The marke.. The global market for cyber security has witnessed some profound changes in the past few years owing to growing awareness towards data security, coupled with an increase in the number of threats related to cyber security. Moreover, the rise in adoption of various IT enabled services & solutions growing the popularity of connected devices has further boosted the amount of data generated daily, subsequently resulting in vast scope for potential vulnerabilities that need effective management as well as control. Thus, the surge in demand for effect..
IoT Sensors Market to 2027 by Type (Temperature Sensor, Light Sensor, Pressure Sensor, Chemical Sensor, Motion Sensor, and Others); Connectivity Type (Wired and Wireless); and Application (Consumer Electronics, Building Automation, Healthcare, Automotive, Industrial, Retail, and Others).. The drone logistics & transportation market is experiencing high growth in the forecast period. Increasing demands for faster delivery of goods is the most significant factor driving the growth of the drone logistics and transportation market. Concerns regarding safety during travel and package drop as well as lack of skilled & trained personnel are the few other challenges to be faced by drone logistics and transportation market. The drone logistics & transportation providers are gaining prominence in the commercial sector owing to the fact th.. Dense presence of natural-gas coupled with technological integrations in the extraction activities propel the adoption of turbo expanders The "Turbo Expanders Market to 2027- by Loading Device (Compressor, Generator, and Oil Brake); Application (Hydrocarbon, Air Separation, and Others); and End-User (Oil & Gas, Power Generation, and Industrial) - Global Analysis and Forecast". The scope of study involves understanding on the factors responsible for this growth of Turbo Expanders Market along with the estimates and forecasts of the revenue an.. The fourth party logistics market is experiencing high growth in the forecast period. The manufacturing industry has witnessed rapid growth in recent times owing to huge investments coming up from Governments of various countries and especially the developing economies. This expansion in the manufacturing industry is expected to embrace technological advancements to enhance plant productivity, maintain an edge with the customers and gain competitive advantage. Steady and consistent economic growth worldwide is a major driving factor for the dev..
Pediatric segment is expected to drive the growth of the global vaccines market by patient type According to a new market research study titled 'Vaccines Market - Global Analysis and Forecasts by Technology, Disease Indication, Route of Administration, and Patient Type. The global vaccines market is expected to reach US$ 64,538.4 Mn in 2027 from US$ 36,998.8 in 2018. The market is estimated to grow with a CAGR of 6.5% from 2019-2027. The report highlights the trends prevalent in the global vaccines market and the factors driving the market a..
Energy management is the leading the application segment of the global building analytics market by 2027 The "Building analytics Market to 2027- by Deployment Type (Cloud-Based and On-Premise), Component (Software and Service); Building Type (Manufacturing Facilities, Residential Building, Commercial Building, Public Places, and Government Buildings); and Application (Fault Detection & Monitoring Facilities, Security Management, Energy Management, Emergency Management, Parking Management, Operations Management, and Network Management)- Globa..
Pay-How-You-Drive policy type is the leading the global automotive usage based insurance market by 2027 The "Automotive Usage Based Insurance Market to 2027- by Technology Fitted (Smartphones, Black Box, and Dongles); and Policy Type (Pay-As-You-Drive and Pay-How-You-Drive) - Global Analysis and Forecast". The scope of study involves understanding on the factors responsible for this growth of automotive usage based insurance market along with the estimates and forecasts of the revenue and market share analysis and also spots the significant .. Automotive LiDAR Market to 2027 by Type (Solid State and Flash); Component (Photodetectors, Laser, Integrated Circuit, Optical Elements, and Others); and Application (Autonomous Shuttle, Robotaxis, and Passenger cars) - Global Analysis and Forecast..